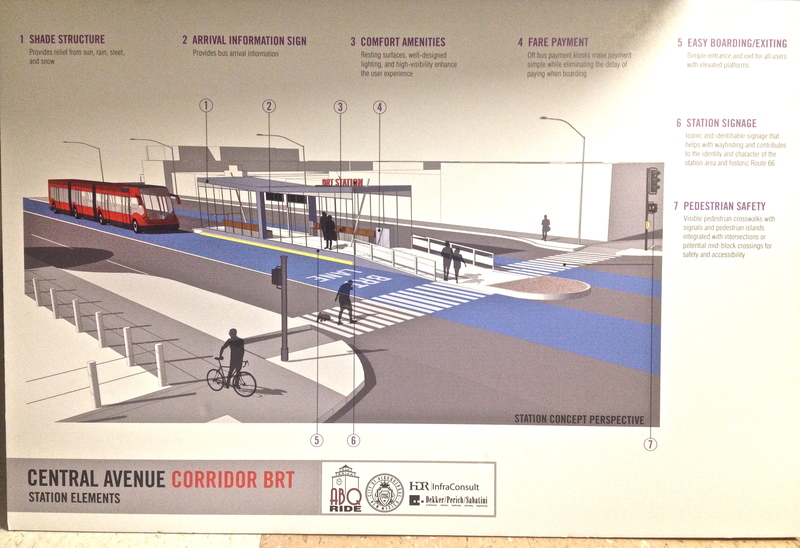 UPDATE 2/4/16: Last night, the City of Albuquerque hosted a meeting about this BRT project on Central, now called ART. See the project website here! Many new and updated features of the project were unveiled at the meeting including pedestrian scale lighting along the entire project corridor and FREE high speed WiFi! 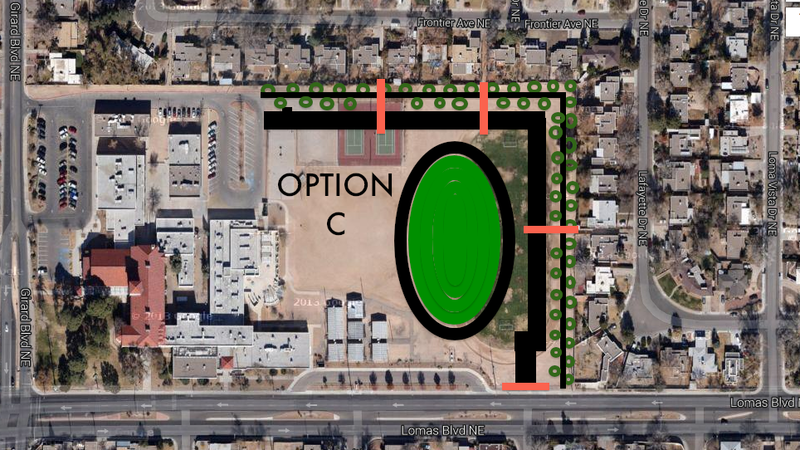 We will be learning if ABQ receives the federal grant for this project in less than 1 WEEK, on February 9th! Bikes and Silver: The City has planned and begun allocating funding for improvements to Silver. This does not mean that Silver will extend past the freeway. 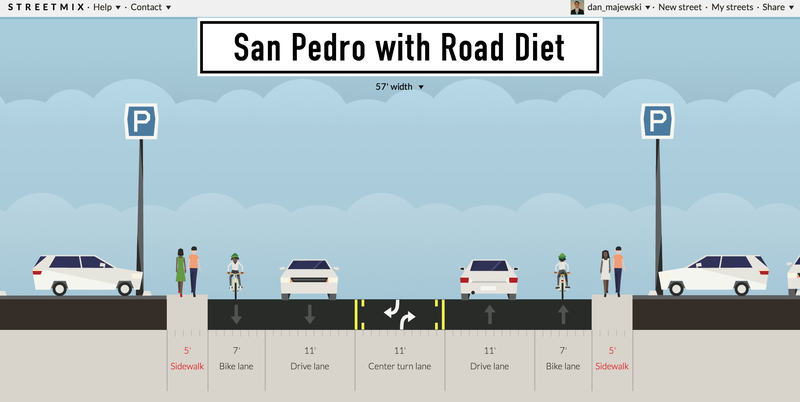 However, the city is also going to be making major improvements to bike facilities on MLK, already a heavily used bicycle corridor that connects UNM to Downtown. We still believe that there are unanswered questions about bikes on Central but overall, many improvements to the plan have been made. 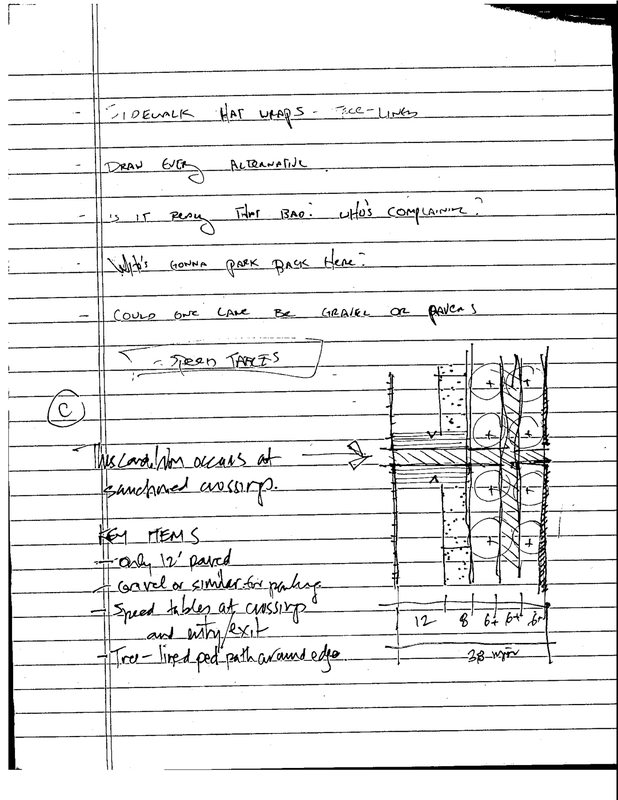 Medians vs. Wider Sidewalks: The folks in Nob Hill came to an agreement with the project planners and there will be wider sidewalks through Nob Hill instead of medians, a huge improvement for the business district. In fact, sidewalks will be widened and improved throughout much of the corridor and pedestrian scale lighting will be added throughout the entire corridor! Marketing, Outreach and Champions: This project has found a champion in the form of Mayor Berry. However, outreach and marketing by the City on behalf of this project has been too little, too late. Unfortunately, outside sources have spread misinformation about the project. Independent from those outside sources, there has been resistance to the project for a variety of reasons. In addition, it is not always easy to communicate the benefits of this project, the construction process, the potential impacts and other aspects of this proposal. The people running this project, as of very recently, finally starting using a Facebook page to communicate information. The City needs to do better promotion and outreach for these types of projects to get ahead of any possible pushback or misinformation campaigns. It’s not an easy thing to do but it can be done. There’s plenty more to be said about this project and we will continue discussing it on our Facebook page. 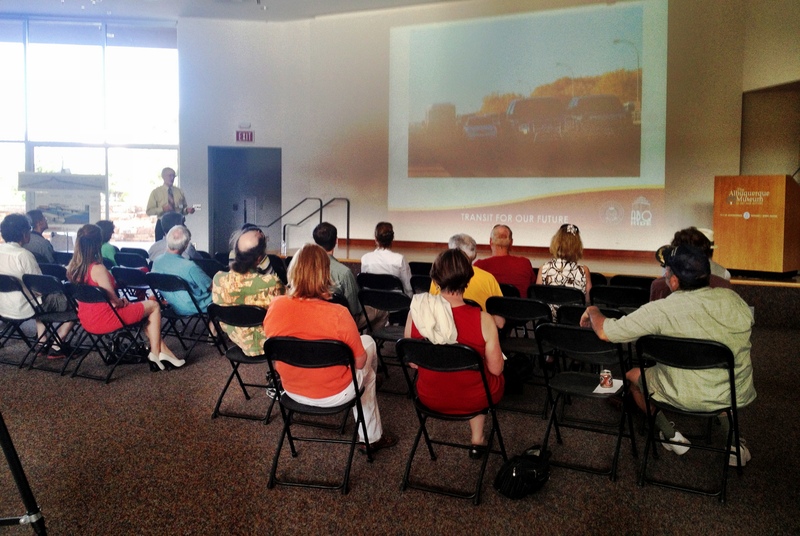 During the month of May in 2013, the City of Albuquerque held six public meetings about a proposed Bus Rapid Transit (BRT) system for Central Avenue. Every meeting was held in a different location and focused on a different segment of the proposed project. 30 minute collaborative work session: we broke into small groups and conversed with consultants about what we like on the corridor, what we don’t like, what type of project alignment we would like to see, etc. The collaborative element was useful. It allowed us to effectively express our opinons and hash out a vision for the corridor. It was also an opportunity to air grievances without having to interrupt the larger group presentation. I attended two of these meeting and came away with mixed feelings. BRT could be a great solution to the current transportation problems currently found on Central Avenue but it must be marketed correctly and executed properly. Scroll to the bottom of the article for my full reaction. Silver is great… until it dead ends at I-25. 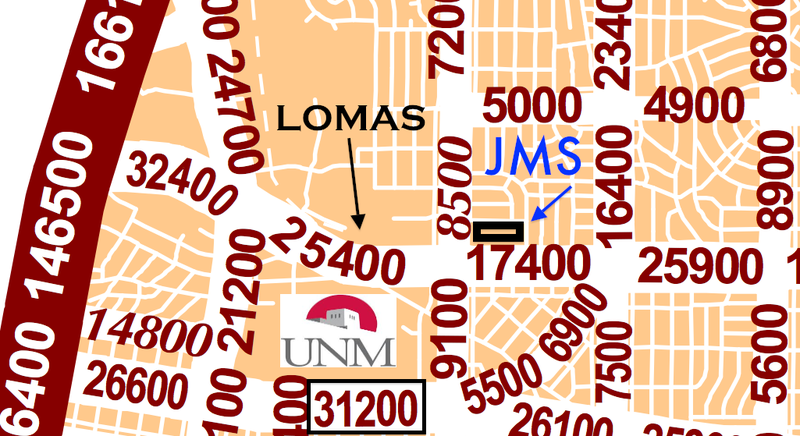 It does not connect the University of New Mexico to Downtown, Old Town or the Bosque Trail. 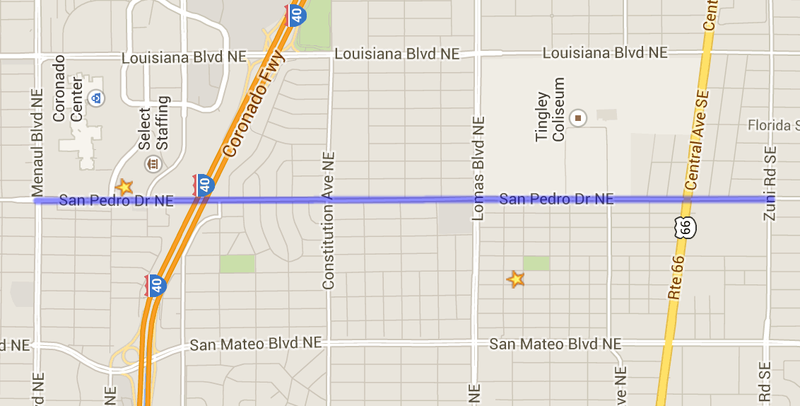 The blue line on this map is the Silver Avenue Bicycle Boulevard. As you can see, it currently ends at the interstate freeway on the left side of this image. Most of the desired destinations are located on Central. I may use Silver for 90% of my trip. However, since my end destination is located on Central, I need to bike on Central for at least a block or two. This means riding on the sidewalk (dangerous/illegal) or in the street (terrifying). Whether you like it or not, there is already a lot of bicycle traffic on Central. It will only increase over time as this corridor becomes more dense. The Nob Hill Neighborhood is the most organized and wealthy stakeholder group on this corridor. They are also the most frustrated and angry about this proposal. 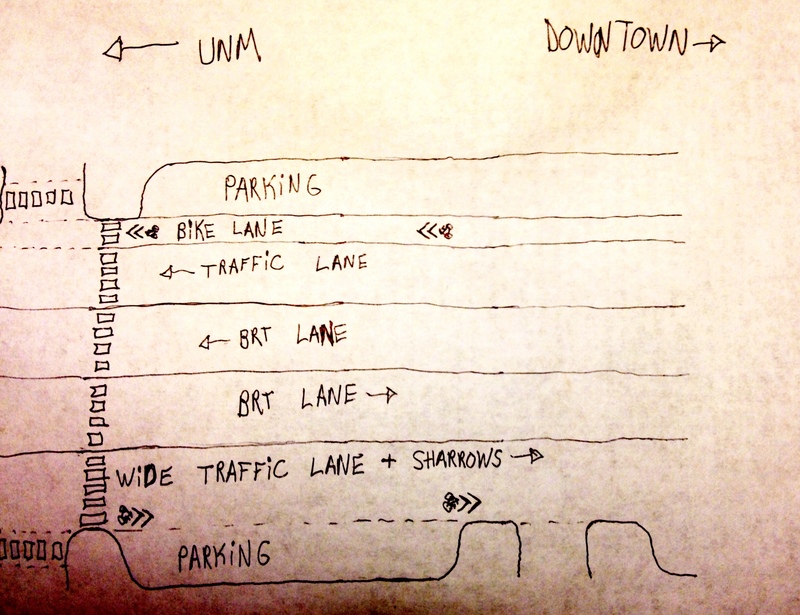 From their perspective, CABQ is trying to take away something (the medians) which presently provide safe pedestrian refuge. True BRT = one general traffic lane in each direction. This would lead to slower traffic speeds, creating a safer pedestrian environment and reducing the need for median pedestrian refugees. However, the city has not adequately demonstrated the exchange of the medians for a world class rapid transit system. The project leaders have not clarified how many crossings for people on foot would exist along the segment. Also, it appears to Nob Hillers that this system will simply be going through the neighborhood without stopping (as the current alignment exists). 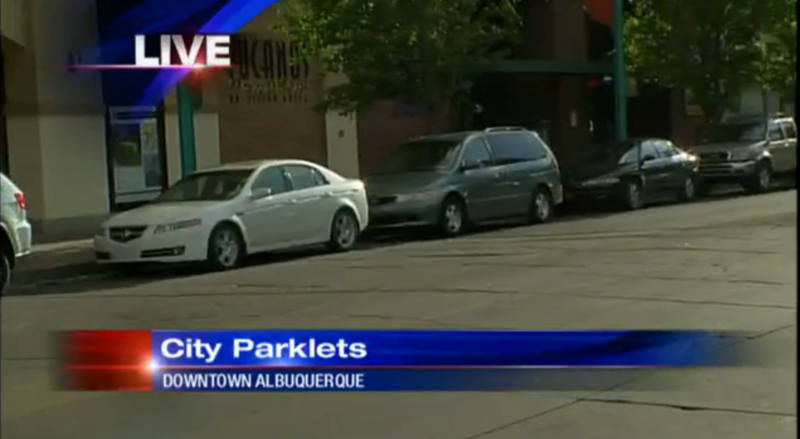 CABQ and ABQ Ride are not effectively selling the system to the neighborhood. The city should explain that instead of the medians, Nob Hill could get wider sidewalks or bicycle lanes. There are many potential positive possibilities. On February 21st, the ULI (Urban Land Institute) hosted a full day conference about BRT in Albuquerque called Transit and Place: First Steps. The day was filled with fantastic presentations from transit providers and developers nationwide. Kurt Ravenschlag from Ft. Collins, CO delivered a wonderful presentation about the Mason Street Corridor BRT Project. Initially, the project did not go over well in this mid sized college town. It was rejected by the business community because the city was not emphasizing the economic benefits of the project, such as increased values around the station areas. The transit provider was forced to go back to the drawing board. The re-marketing of the proposal was successful and the project is now being constructed with major local support. The City of Ft. Collins did not change the project! They only changed the sales pitch. 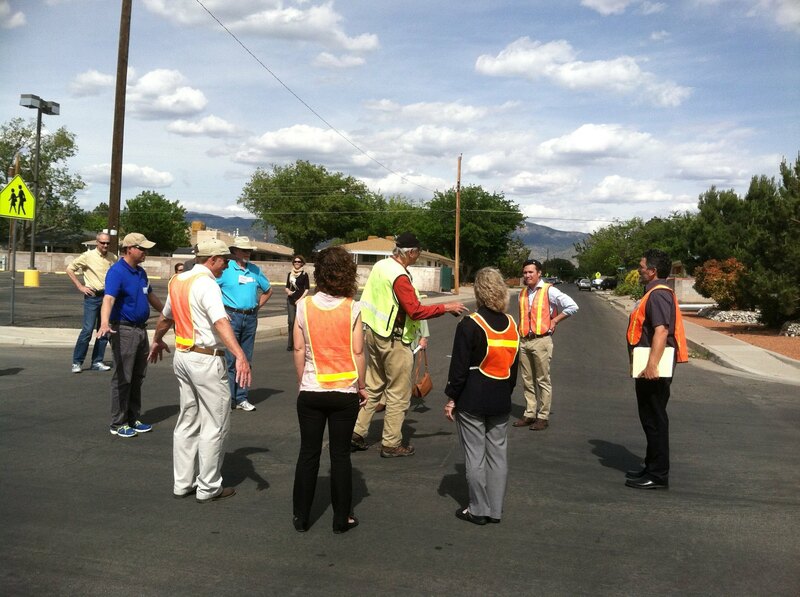 The City of Albuquerque is currently working on a Complete Streets Plan for Central Avenue between 1st St. and Girard. Isolated from the BRT project, this plan has its own webpage, a separate set of public meetings and different group of consultants. The BRT plan and the Complete Streets plan are the same thing! They both have the same vision: increased economic development and a safer more beautiful street for people moving throughout the corridor. 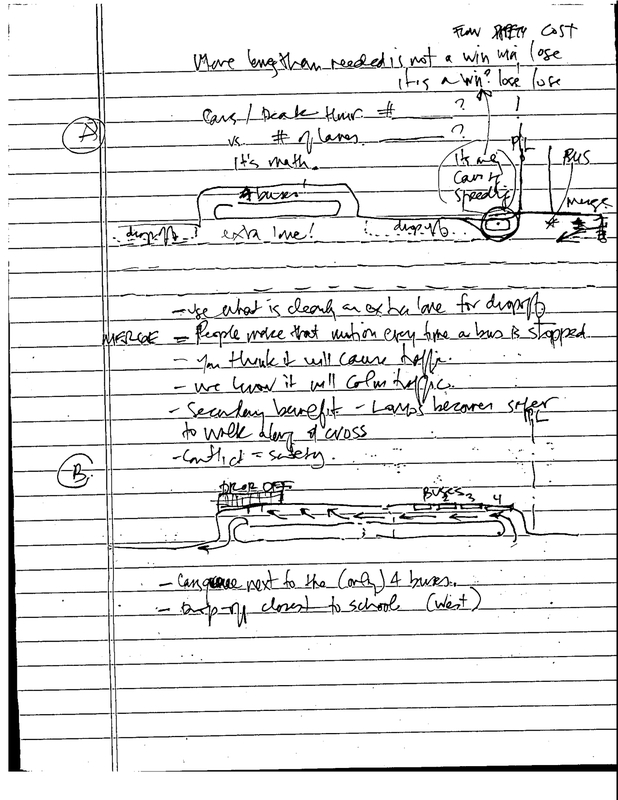 Why are there two separate plans? 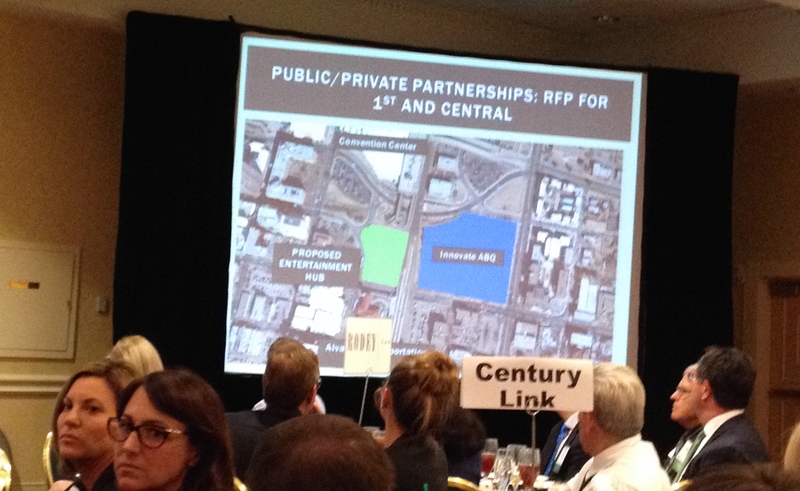 Mr. Ravenschlag from Ft. Collins emphasized the importance of first laying out a vision for the corridor. Streetscaping should be the first conversation, followed by zoning overlays and bicycle/pedestrian access. After all of that, transit should be discussed. Central Avenue is in desperate need of a solution. Half of all transit trips in the city are on this corridor. It is Albuquerque’s main street but it is marked by vacant lots, visible poverty, fast moving automobile traffic, high pedestrian fatality rates, unsafe intersections and a lack of cohesiveness. Rapid transit will be a part of the solution but it can not come at the expense of all the other elements. Wide shaded sidewalks, bicycle infrastructure, rezoning of the corridor, reduction of parking minimums and safe pedestrian crossings at every intersection are all more important to the long term success of Central Avenue. This project needs a stronger emphasis on the complete streets and economic development elements of the project. ABQ Ride and the City of Albuquerque need to go back to the drawing board and figure out how to sell BRT as a larger part of the revitalization of the Central Avenue corridor. 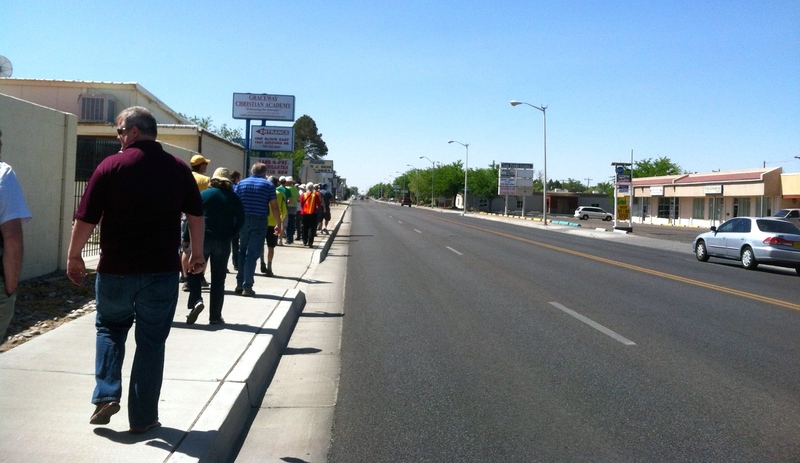 IMAGINE… an improved Central Avenue, Albuquerque’s Main Street. Envision wide, smooth, safe sidewalks shaded with large native street trees. 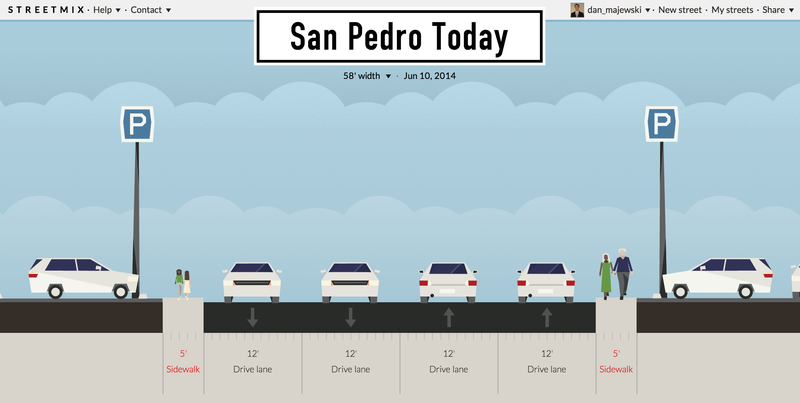 Think of slow moving vehicle traffic and narrow, easy to cross intersections. Visualize vacant lots disappearing, then filled with shops next to the sidewalk and apartments above. Feel the warm summer air as you leave your apartment and walk a few steps away to a rapid transit station. The station has shade, real time arrival information and other amenities. However, you barely have time to look at all of it since a transit vehicle arrives every five minutes. The successful vibrant Albuquerque of the future is linked to this critical corridor. Can you see it? I sure can. For it to manifest, it will take strong local champions and a chorus of voices demanding a safer, more prosperous and more beautiful Albuquerque, a city for PEOPLE, where motor vehicles are guests. It’s a difficult challenge but it’s our best hope for long term economic vitality. Please comment below if you have questions or comments about this post. For more information on the Central Avenue BRT project, click this link. 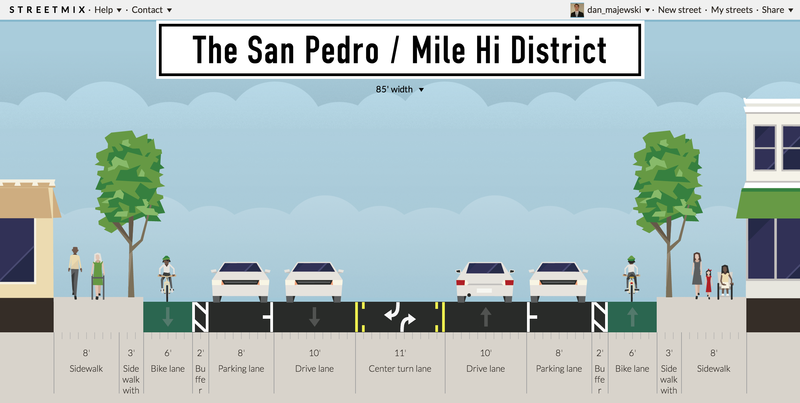 For more information on the Central Avenue Complete Street Plan, click this link. 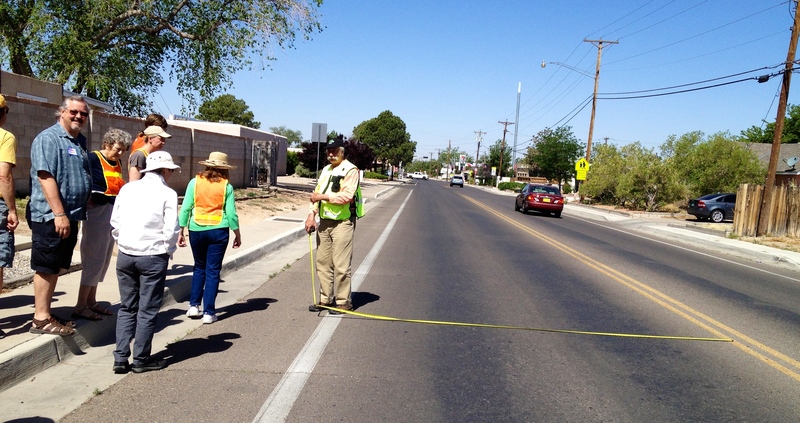 Like the Complete Streets in New Mexico Facebook page for more news and information. Like UrbanABQ on Facebook for more news and information.